The UllrGrass Music & Beer Festival (5th Annual) will launch the grand re-opening of the newly renovated Buffalo Rose event center on the weekend of Friday, January 25th 2019 featuring Grammy Award winner and world-renowned mandolin player Sam Bush, The Father of NewGrass. 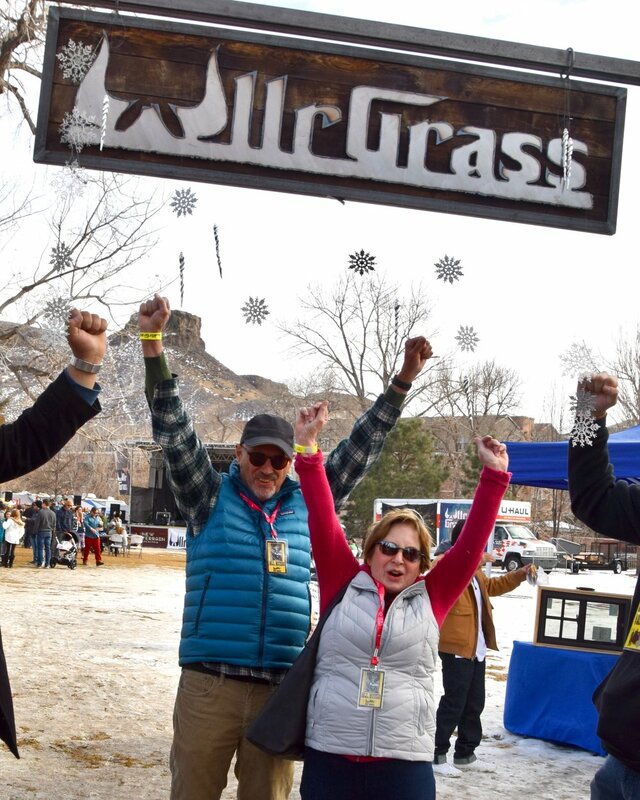 The 3-day festival, UllrGrass (named for the Norse God of Winter – Ullr - pronounced ooler) is the brain child and passion of project of Chris and Susannah Thompson, long-time Golden residents who felt Golden needed a signature event in the middle of winter to bring the community together. Festival-goers dress in Viking regalia and celebrate community, live music, performing arts and craft beer. Named one of the Top Ten Outdoor Festivals in Colorado by the Westword, UllrGrass 2019 will feature a diverse lineup of bluegrass, newgrass, funk and jamband artists including Sam Bush Band, Drew Emmitt & The UllrGrass Allstars (Andy Aijala, Andy Thorn, Greg Garrison and Coleman Smith of Leftover Salmon, Yonder Mountain String Band and RapidGrass), The New Orleans Suspects, CORAL CREEK, The Way Down Wanderers, Mighty Pines, Sugar & the Mint, Thunder & Rain, Mama Magnolia, Gypsy Cattle Drive, Liver Down the River, Circus #9, Adam Kinghorn Quintet, FREIYA: Women of Bluegrass, Bowregard, Turkeyfoot, Hunker Down, Buffalo Commons, Bonnie & Taylor Sims, Tori Pater & Michael Kirkpatrick. The UllrGrass Beer Festival takes place on Saturday January 26th from 1-4pm. Patrons will enjoy live music on two alternating stages while sampling craft brews and ciders from 35+ breweries from across Colorado . Sunday is “Family Day” at UllrGrass; featuring a Virtuosity Dance performance at Noon, an UllrEgg Hunt, Costume Parade, craft activities and games. Food trucks will provide a variety of tasty treats all weekend long. Tickets for 2019 are on sale at www.ullrgrass.com (Children 15 and under are free) or for no fee cash sales attend one of the free to the public pre-festival events listed below. For the 5th year, beer lovers dressed in Viking regalia will gather in Parfet Park, Golden, Colorado during the last weekend in January to celebrate winter and sample beers from 34 brewees and cderis fro around t state and beyond. UllrGrass Music and Beer Festival is named after the Norse God of Winter – Ullr. Local musicians and beer lovers, Chris and Susannah Thompson, created this outdoor winter beer festival to bring the front range community together in the beautiful setting of Golden to toast the winter and celebrate great music and craft beer. Whether you dress in fuzzy Viking costumes or suit up in your favorite ski gear you will find yourself smiling and toasting your friends at this intimate and fun-filled celebration. Beer festival tickets are $55 and include: access to the mainstage in Parfet Park from 11am – 8 pm (with musical acts: The Sam Bush Band, CORAL CREEK, The Mighty Pines, Bowregard, Turkeyfoot and Hunker Down); unlimited 3-ounce samples from 34 breweries from 1pm – 4pm and a commemorative tasting cup. A beer festival “add-on” ticket for $20 is available to all music festival patrons who have already purchased a Weekend pass or Saturday pass.